Classes, workshops, teacher trainings: Our Practice Center opens this Summer! Hang out with us on 4/30! Join the team. Teach your Passion! PTA/PTO, Preschools, Before/After School Programs! 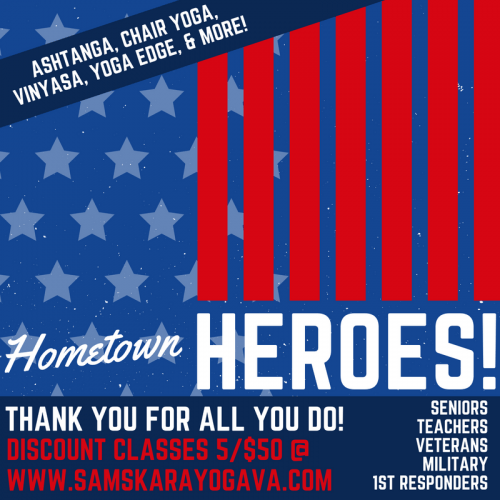 Hometown Heroes Discount! 5 classes/$50! 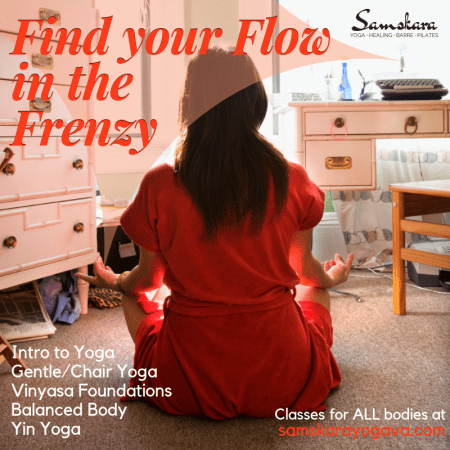 YOUR yoga starts at Samskara. Yoga and other mindful wellness classes and practices are more than workouts and exercise. They connect the body to the mind, breathing life into our movements, creating peaceful spaces in the chaos. 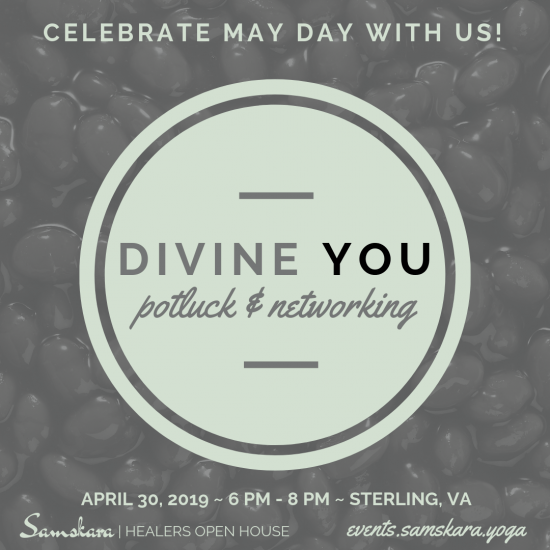 Samskara began as a community yoga studio, holding classes in parks, at farmers’ markets, in private homes, and public spaces across Northern Virginia. Everyone deserves a chance to find their own “yoga” – whether in a group fitness class, a one-on-one yin yoga session, meditation, or energy healing. Yoga is connection. At Samskara, we provide spaces and opportunities for our community to connect, grow, and make positive changes in life. 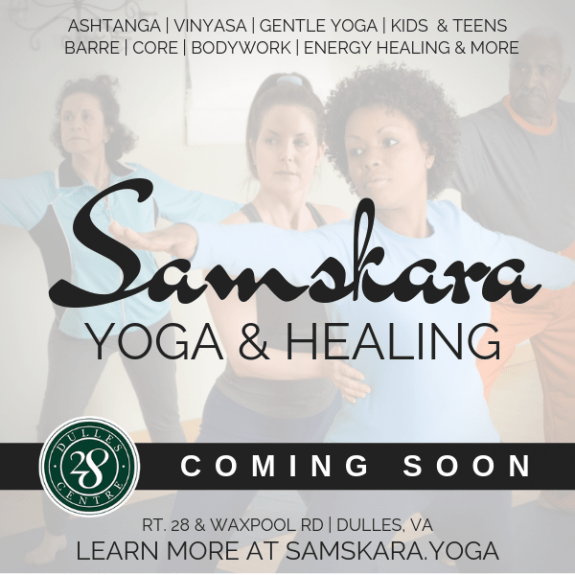 The Samskara Community Practice Center opens in 2019, bringing a wide range of mindful movement classes: vinyasa flow, power vinyasa, yin yoga, ashtanga yoga, gentle and chair yoga practices. We will offer yoga dance, aerial yoga, reiki yoga, kids yoga, barre, and other opportunities to move mindfully. Space will be available for massage, reiki, and energy healing, reflexology, and other hands-on healing modalities. 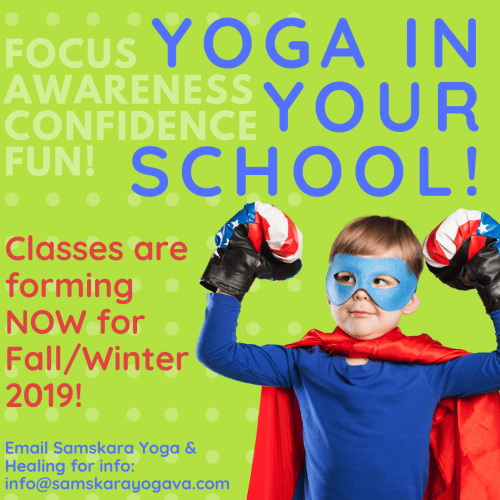 Plus, Samskara will host educational opportunities for teachers and the community that explore and encourage a deeper understanding of movement, breath, energy, and more. Welcome to Samskara. Let’s burn off the crazy. All levels, all ages, ALL bodies, and all levels of experience are welcome. Come as you are: bring your open mind and open heart… we’ll co-create the rest! See our class schedule and try out a class (your first class is ALWAYS free! ), or contact us for private or small group instruction!